You deserve a great cocktail—and you don't have to over-indulge to get it! Shims—serious, low-alcohol cocktails—are where everyone can come together, whether it’s for the one drink of the evening or when this is but the first of many. 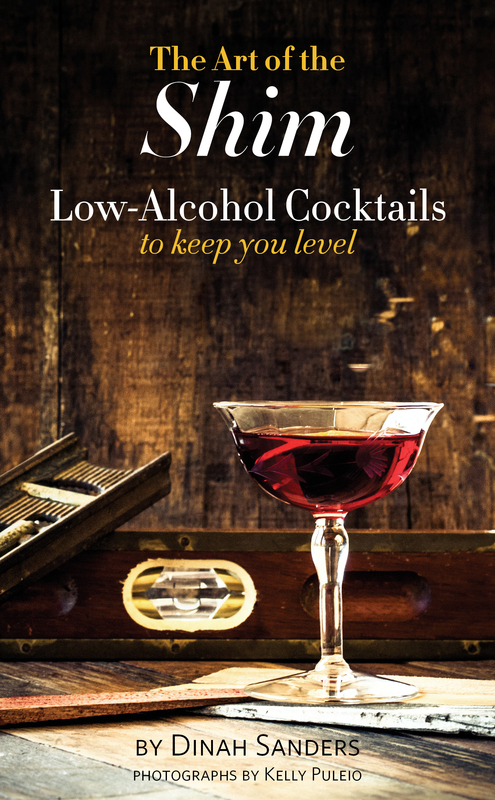 This book is your invitation to a world of delicious, sophisticated drinks which provide all their pleasures without walloping you over the head with booze. Celebrate two centuries of the cocktail with 53 recipes for every taste, from the sunny cheerfulness of a Ben’s Good Humor to slow sippers like the Bitter Giuseppe. Cheers! On a deadline? Email with a subject line beginning "MEDIA INQUIRY:" to help me prioritize my response. Dinah Sanders is author of the cocktail blog Bibulo.us. 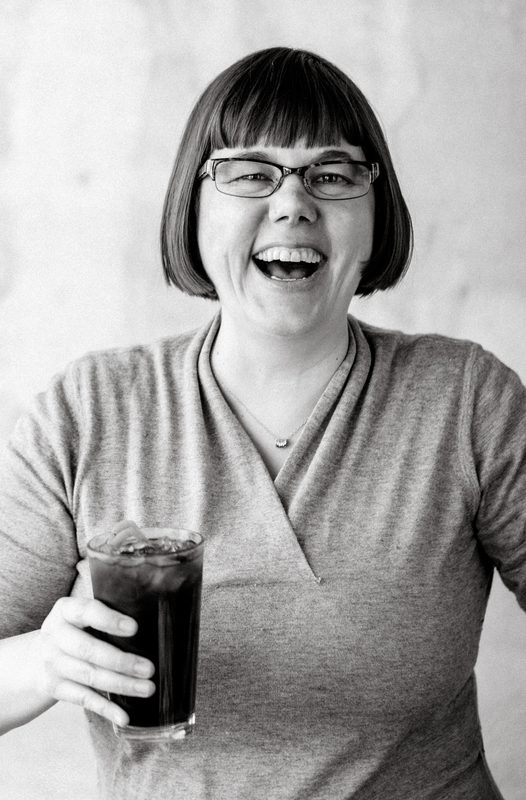 She holds degrees in History and Library Science and puts these skills to work on cocktail history and taxonomy in The Art of the Shim: Low-Alcohol Cocktails to Keep You Level. Her first book, Discardia: More Life, Less Stuff, explored letting go of what doesn’t make life awesome. This is the first book to celebrate and clearly define an essential category of cocktails encompassing less-boozy offerings that have all the serious rewards of their stronger siblings. 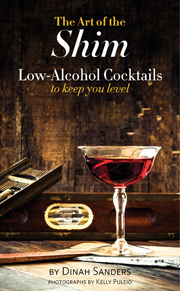 Lavishly illustrated with 79 vibrant photos by Kelly Puleio and quotes from the world’s best bartenders, it is a welcome addition to both the professional and amateur’s bar library. I've been studying low-alcohol cocktails and collecting recipes since before I coined the term 'shim' in 2008 on my blog Bibulo.us. In preparation for this book I revisited about 500 recipes from 150 years of cocktail books and other sources. I also solicited low-alcohol recipes from bartenders. From this pool, I narrowed down to approximately 200 recipes which were tested with friends. My testing group intentionally included a wide variety of drinkers from lightweights to whiskey snobs, including some who usually do not choose cocktails in preference to beer and wine. Their feedback combined with my curation to create a balanced sampling of the great variety of drinks in the shim category. Once the final 53 recipes were selected, I again contacted bartenders and others in the cocktail world to bring their voices into the book. I also confirmed the history of each recipe with the goal of providing as accurately as possible the origin of these drinks. Where I was able to connect with living drink creators, I included their thoughts on the cocktail. The book was tested with beta readers representing cocktail fans, industry professionals, and those new to the subject. Hardcover (978-0-9839980-4-4), 192 pages, $24.95 suggested retail price. Also available as an ebook through iTunes, Kindle, and Kobo. Published by Sanders & Gratz. Distributed through Ingram. This site is copyright 2008-2019 Dinah Sanders and Sanders & Gratz (S&G). Photographs from the book are copyright 2013 Kelly Puleio.